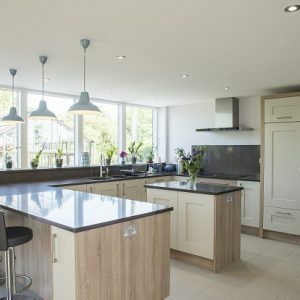 The clients had been living in the village in a 1970’s bungalow for over 30 years and had developed strong links with the local village and community. 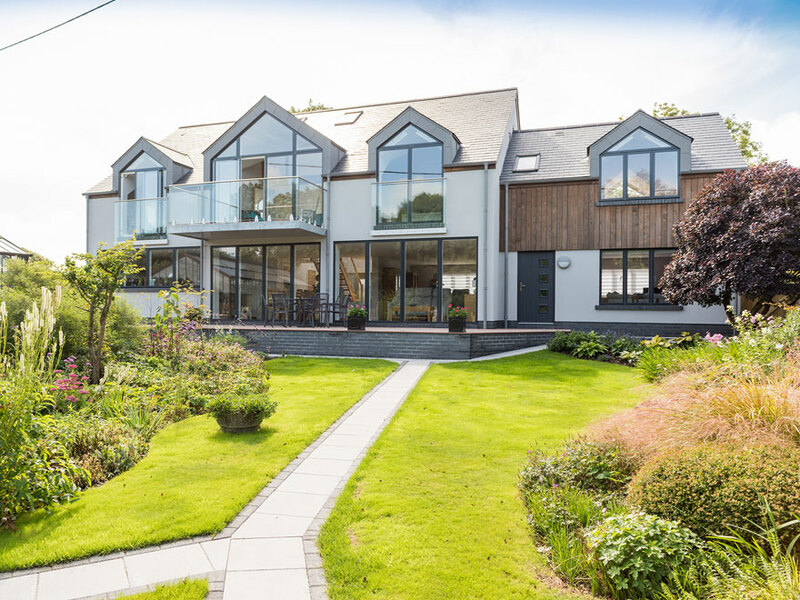 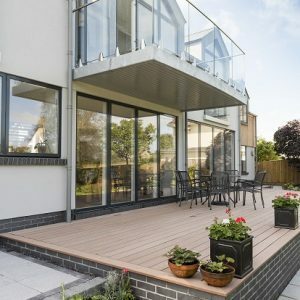 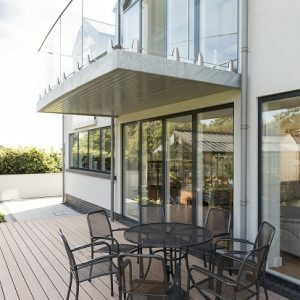 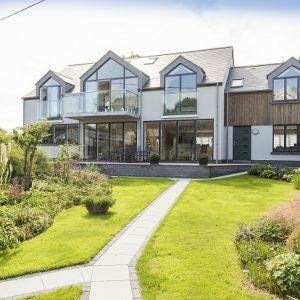 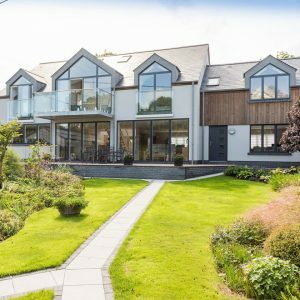 Over the years, the bungalow had been modified and extended to suit the changes within the family, however the property was by now becoming high maintenance and in need of updating. 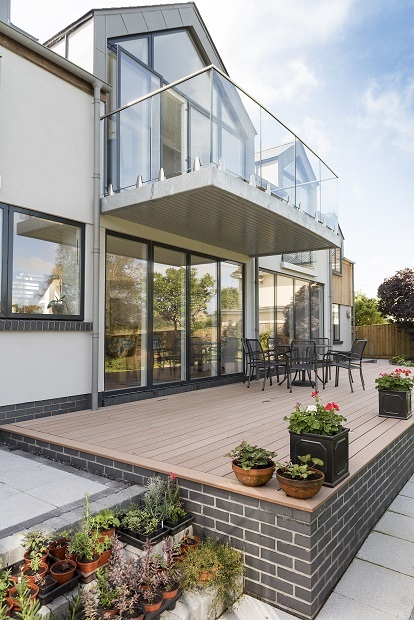 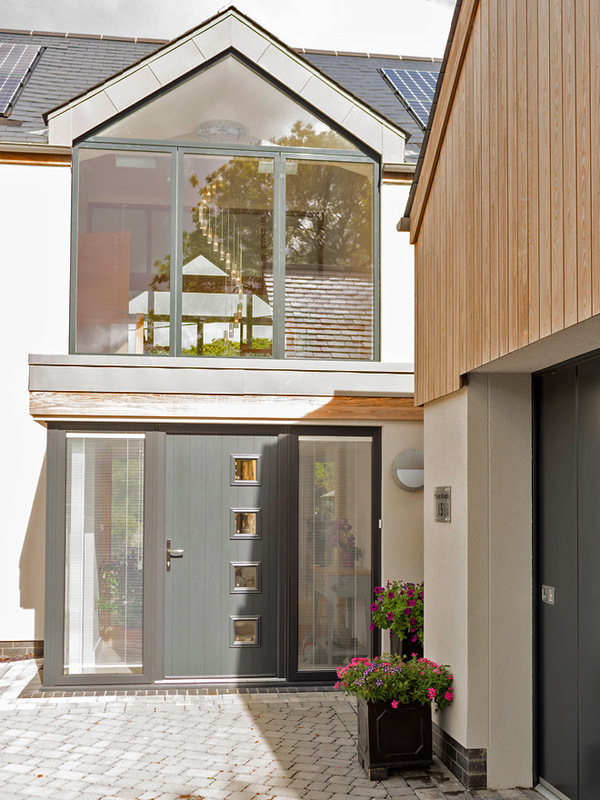 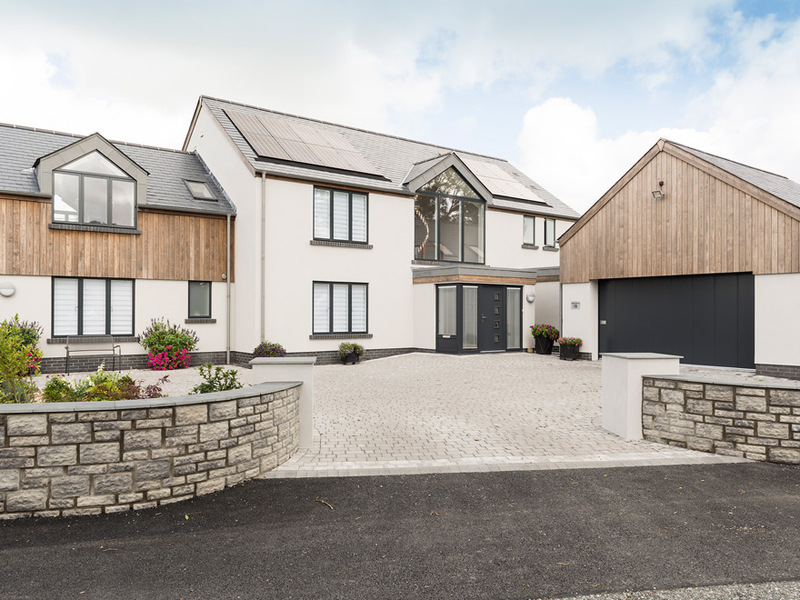 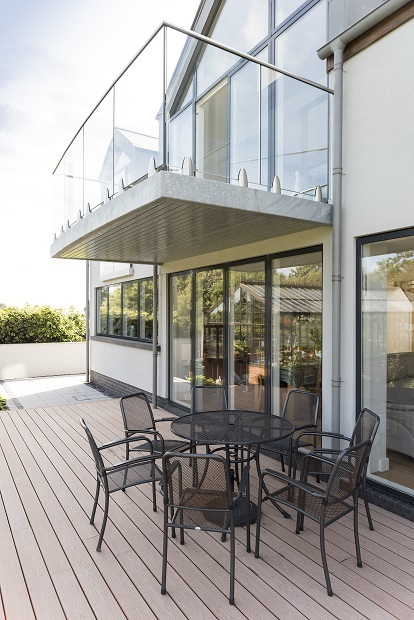 The original plan was to build on an adjacent plot, but this fell through so our clients decided to use the existing plot. 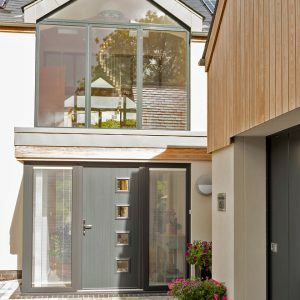 This had the advantage of retaining the existing garden and large greenhouse as both our clients are keen gardeners. 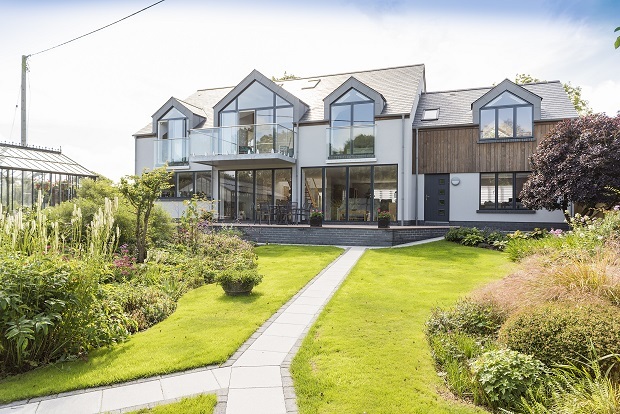 The brief was to maximise the use of the front half of the plot, but leave the rear garden and fruit trees undisturbed. 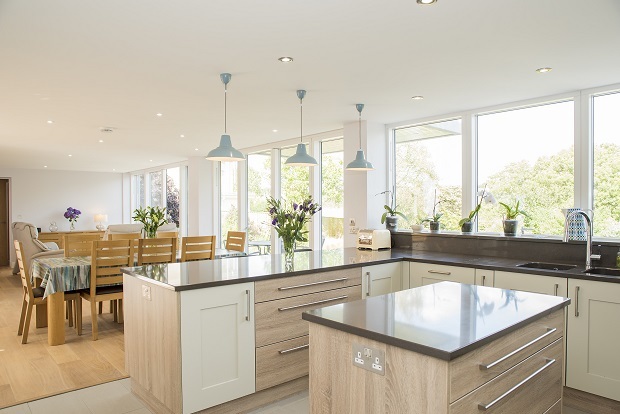 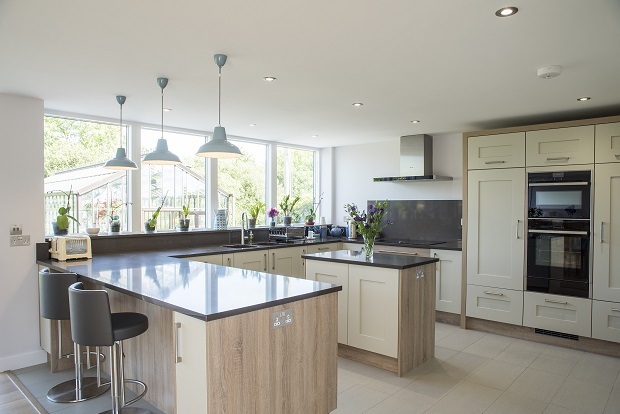 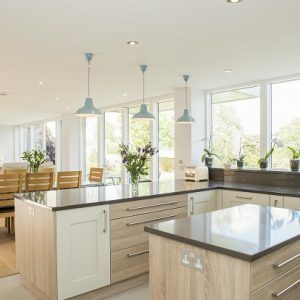 The house was to be modern, open plan and utilise more modern mechanical and electrical services. 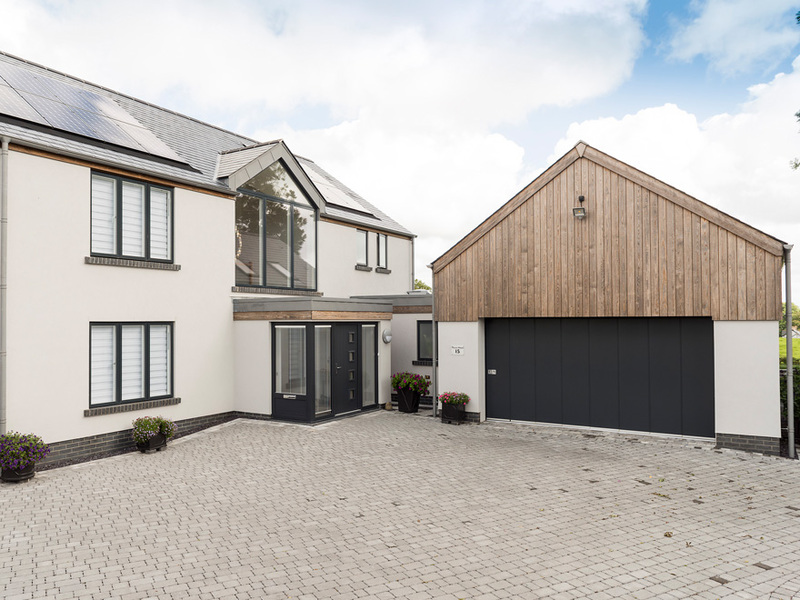 In order to achieve the accommodation required, the garage was re located to the front and linked to the house. 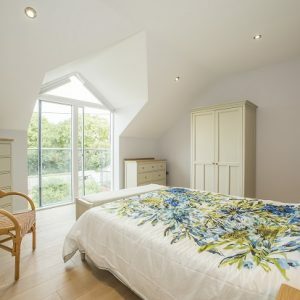 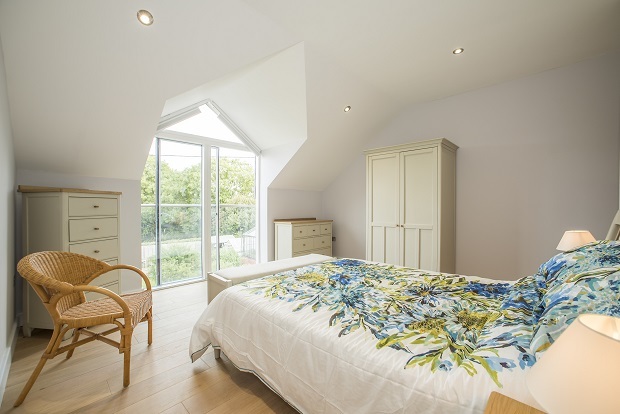 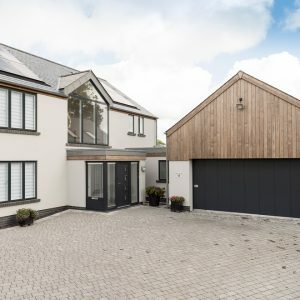 To help level up the site, the accommodation was divided into certain areas; the main reception room and bedrooms, a wing for guest bedrooms and a utility / boot room linked to the two car garage. 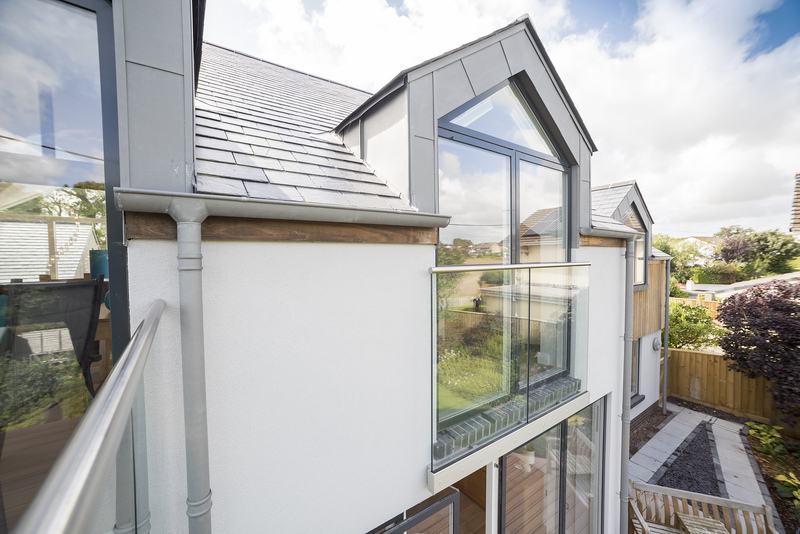 Extensions were made to all roof voids, either as an architectural feature or to provide space to include provisions for protected species. 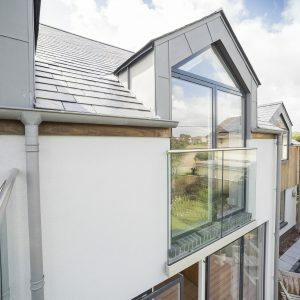 All the materials and finishes used were maintenance free and of high quality. 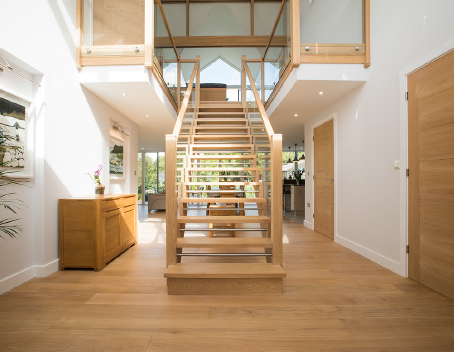 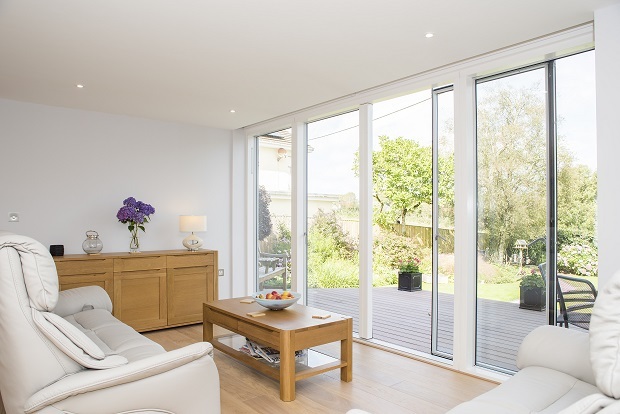 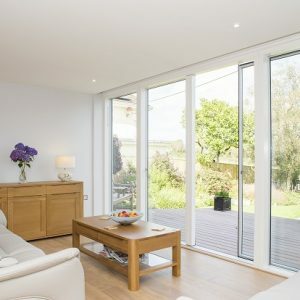 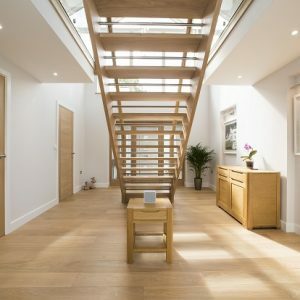 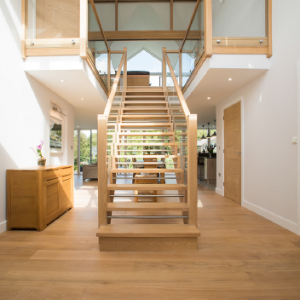 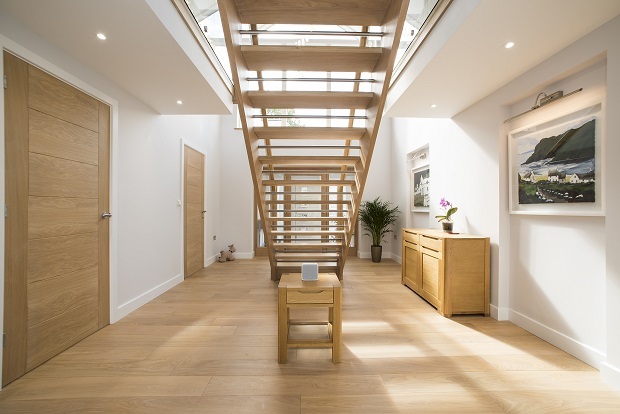 Heating throughout both floors is underfloor and uses an air-source heatpump. 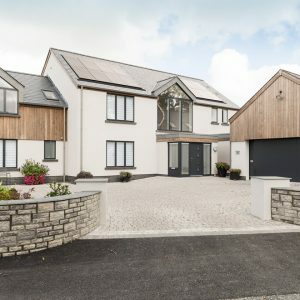 The roof contains an area of photo voltaic panels.